The goal of Mercuna 3D Navigation’s pathfinding, steering and avoidance components is to allow your agents to display high quality movement as they traverse your game world. To make this happen, the outputs from those systems must be passed on to your agent’s movement logic in the host game engine. 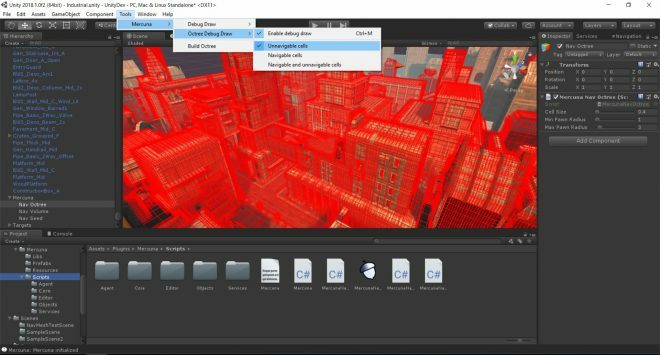 For Unreal Engine, Mercuna 3D Navigation provides a movement component suitable for directly driving your agents. Or if you need to develop your own movement component for more complex cases, Mercuna has a simple interface to allow easy integration with your character’s movement logic. Ideal for bespoke flying or swimming AI.